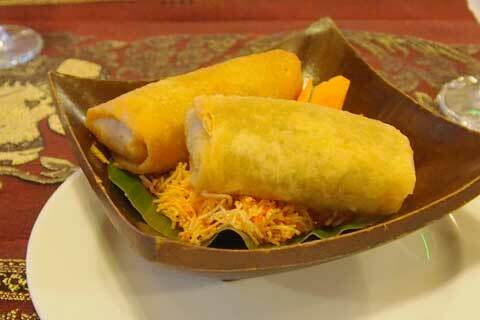 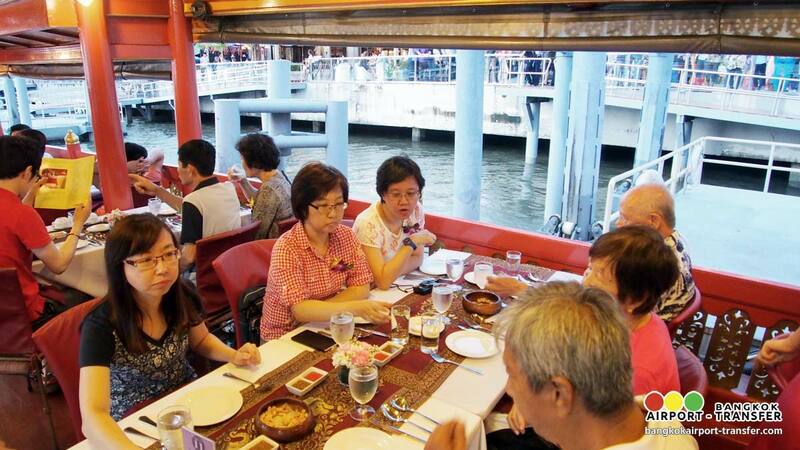 WAN FAH, a high-class, luxury Thai-style boat restaurant with Thai-food and beverage accompanied by Thai classical music. 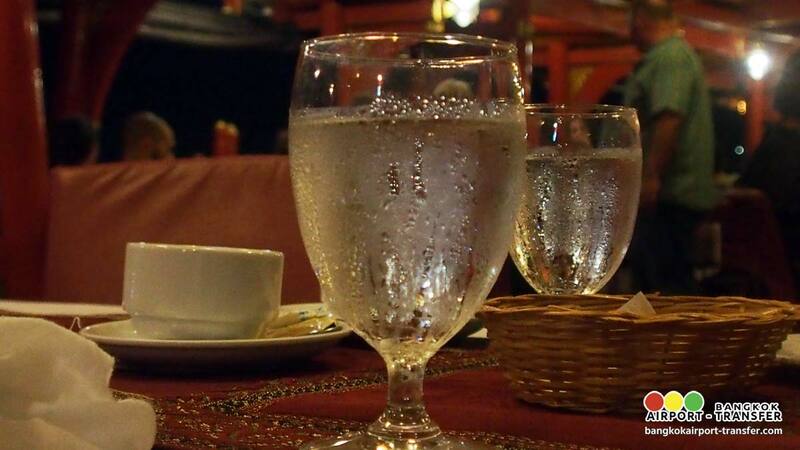 You will enjoy a pleasant atmosphere with our charming and friendly hospitable services. 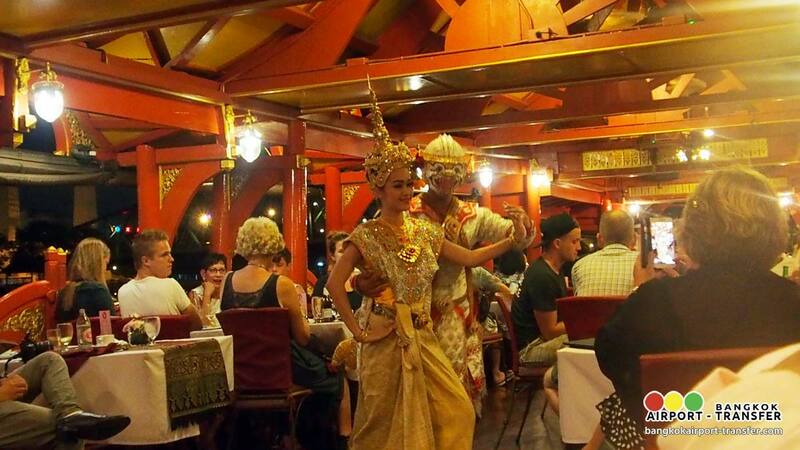 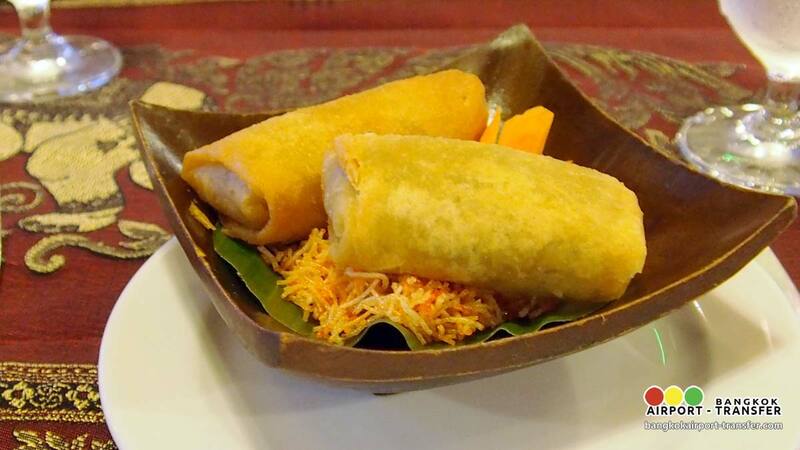 During your romantic dinner, you will see Thai music and classical Thai dances which take some part from the story of Ramayana ,the great story of Hindhu in India, and others show are about the native story of some part of Thailand. 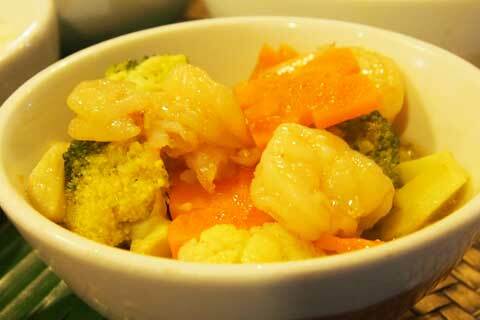 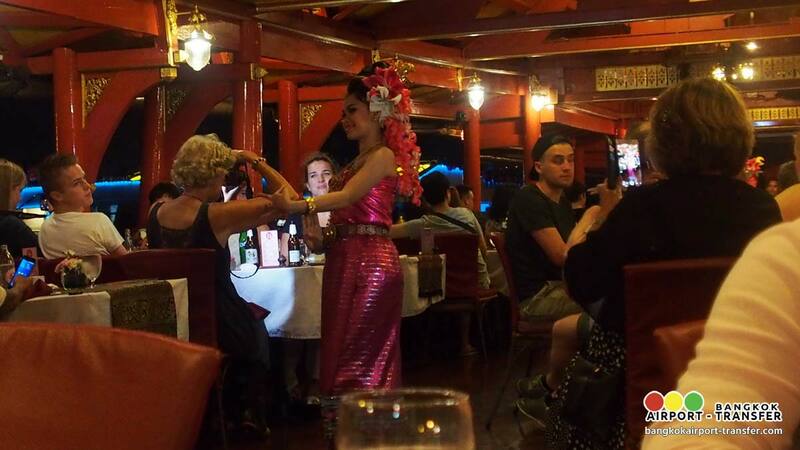 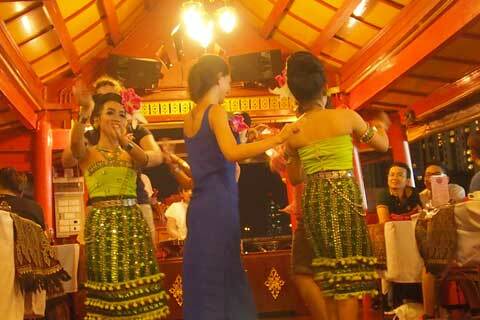 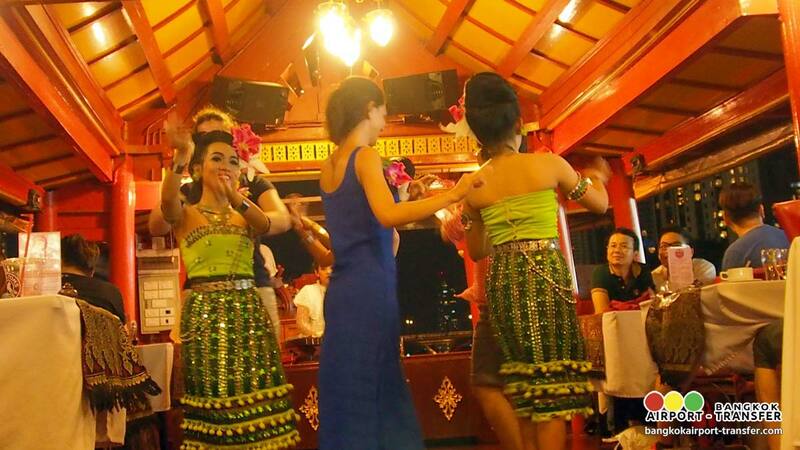 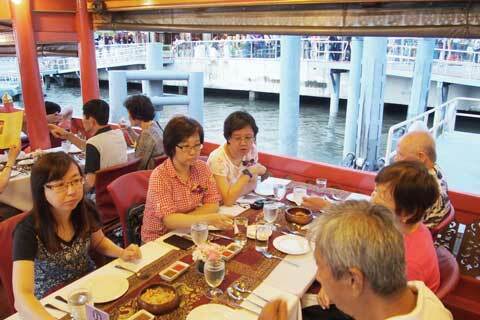 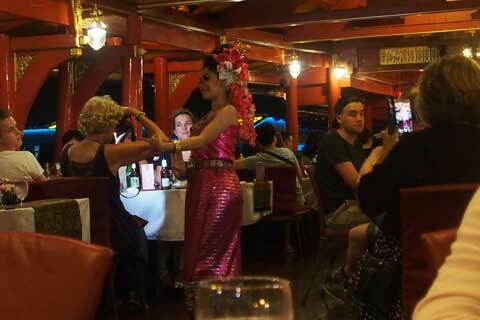 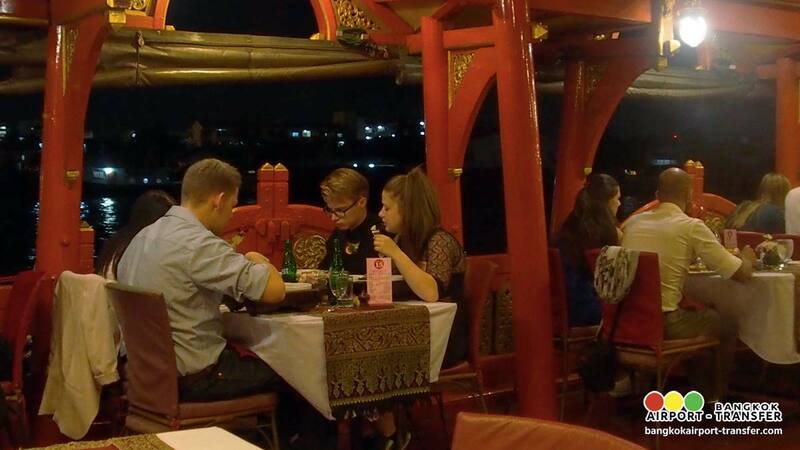 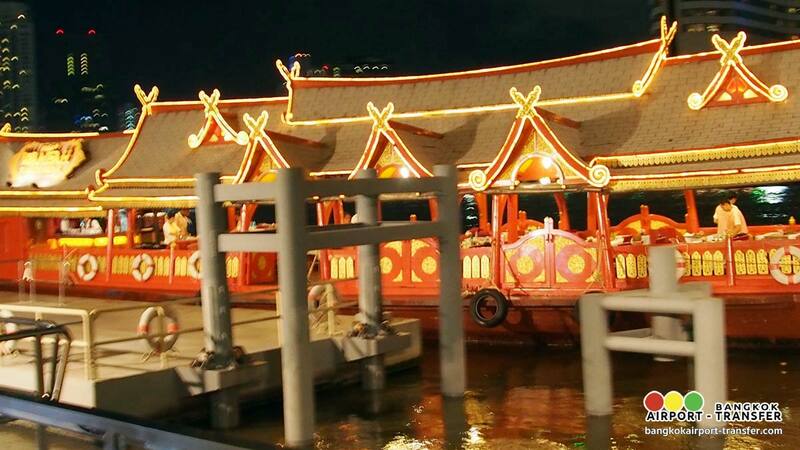 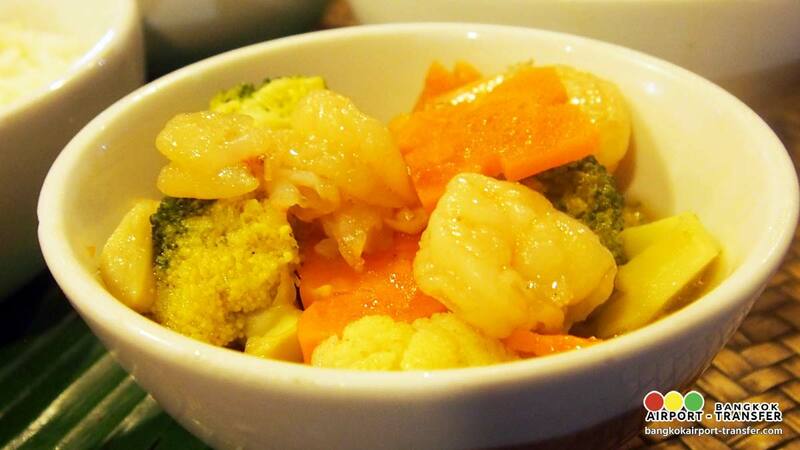 Wan Fah Dinner Cruise will take you on a dinner cruise night from 7pm. 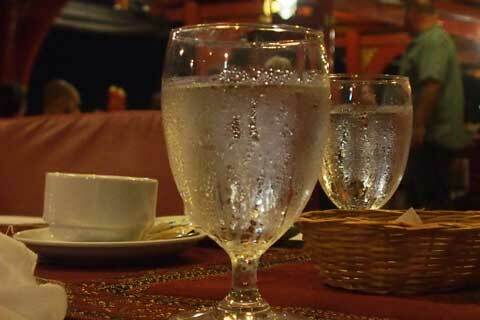 to 9pm. 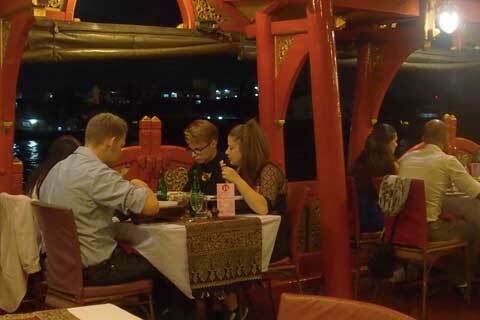 along the enchantion Chao Phraya River. 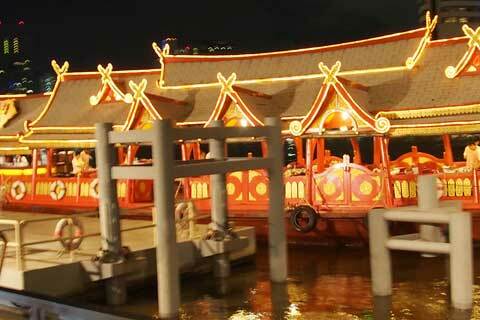 The boat will pass by the Oriental Hotel, ShangriLa Hotel, The Royal Grand Palace, Wat Arun, Wat Pho. 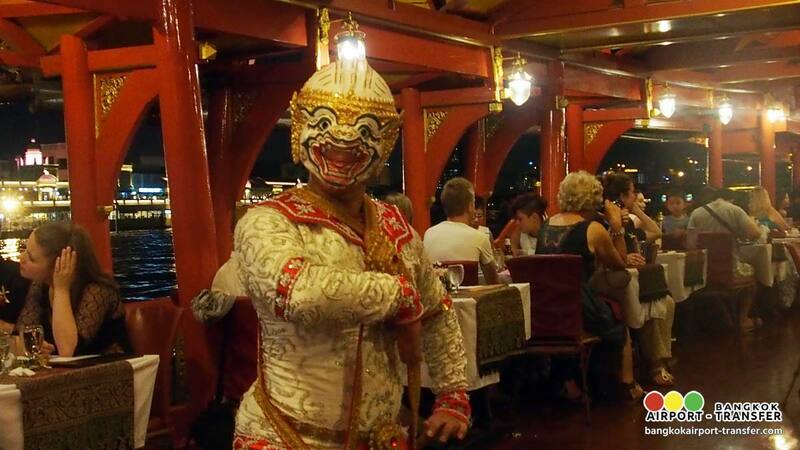 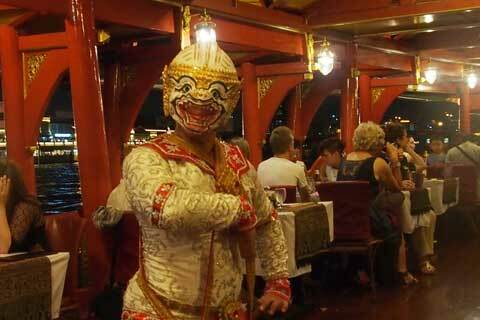 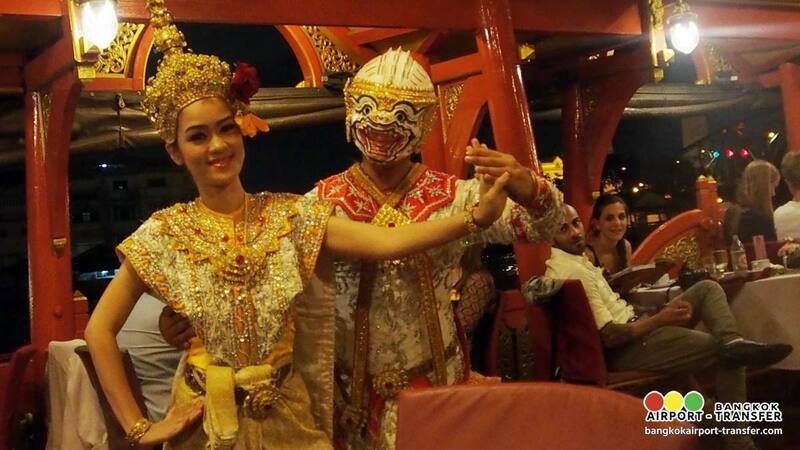 21:00 On the way return to River City Pier, the famous Traditional Thai Classical Masked Drama of the Ramayana Story.